What a great time to be alive and have the opportunity to build God’s Kingdom on Earth. Although we can see revival popping up sporadically around the world, there is a larger sense of Kingdom transformation in the nations. The warfare is at a level higher as well, and that feels like great shaking as the kingdom of darkness clashes with the Kingdom of light. The soul of nations is at stake. Having read the last book of the Bible, we do know that the story ends with nations discipled and Jesus lifted high. In the U.S., we can feel political power moving toward more centralized government. It’s not just the president, it’s the willingness of progressive bureaucrats, judges, educators, etc. to impose their agenda on the rest of us… it used to be called tyranny. Now we call it hope and change… very progressive. Where it leads is very obvious. The essence of liberal progressive ideology is a belief that it’s OK to impose their agenda on the ignorant masses. It’s called a ruling class or a “dictatorship of the proletariat” (Karl Marx). If those masses don’t cooperate, you can nudge them, tax them, imprison them… or eventually just gas them. Man-centered religions and governments have a strong, historical tendency to rid themselves of undesirable elements. For example, in Poland, 60,000 intellectuals were exterminated because they were likely to resist the fatalism of occupation. It was called Intelligenzaktion. Progressives logically believe that their agenda takes precedence over the opinions of others, the rule of law, the truth, science, morals, Congress, etc. Then global warming, immigration, gay marriage, IRS targeting, Benghazi… everything starts to make sense because it serves the goal of centralized government, which is to maintain or increase control and eliminate competing voices. There is a messiah-like worship of the leadership and the agenda by those willing to surrender their liberty and logic. Everyone is “free” to agree with the party and carry out their agenda… in lock step. There is even a false anointing that has the power to sweep people into the deception, which we’ve seen before. We can contrast this current level of self-righteous arrogance with a different spirit. Freedom and free markets are a God thing. Darkness “rules;” the light “serves” and sets people free. Setting captives free – Leadership in government, the corporate environment and the church all carry the temptation to view people as sheep needing someone to tell them what to do, and a “ruling class” naturally evolves. Lording it over other people has roots it what we believe about them… ignorant, sinful, inexperienced. The Kingdom is different. God loves individuals and He writes His plan in their hearts… even before they are saved. Leading people in every venue (Mountain) carries this one simple principal: we are helping them to connect something already written in their own hearts with something God is doing in the earth. When this happens, there is a prophetic authority that causes people to “hear” and respond. It’s another simple principal, “His sheep hear His voice.” As leaders, our job is to articulate that voice and allow it to resonate with the same authority. 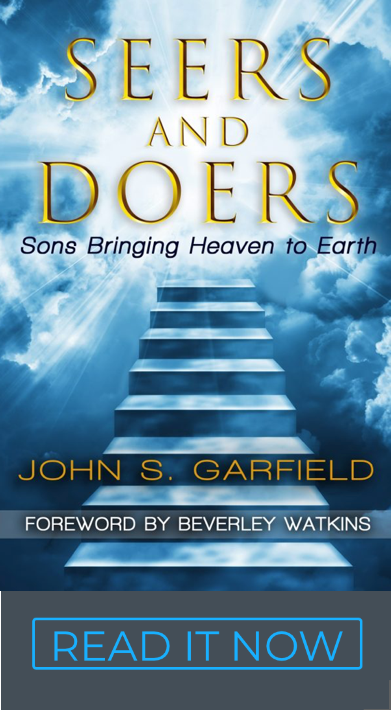 People are designed to be led by God’s Spirit and they are designed to resist coercion. Darkness flees from light. It’s really an easy victory. The result – Let’s use politics as an example. When a leader demands adherence to his plan, or even just tries to “sell” it, the consequence is division and disunity. 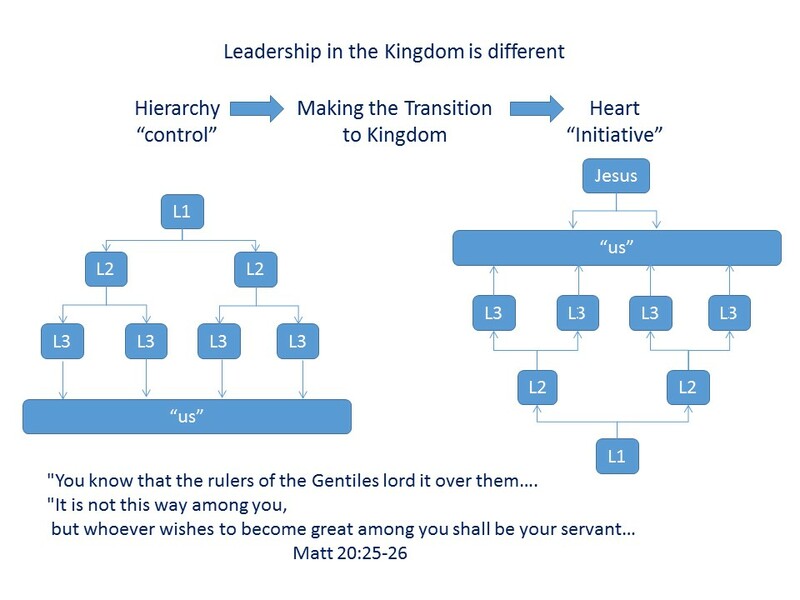 If the same leader articulates a Kingdom solution with enough latitude for people to choose it, his leadership will carry a prophetic tone and people will hear the same thing in their own hearts and unite around it. That “sound” of wisdom is a little rare right now, but when we hear it, we feel the power to unite opposing sides of any issue. Wisdom doesn’t label people; it accounts for the healthy attributes of both sides of a debate and draws people together around a solution that works for God, the nation, and factions between belief systems in people. Yes, there will be warfare and the enemy’s voice will be heard. It’s just that people will ultimately choose to follow their hearts toward God. It’s also true that some will hear the sound right away, some will hear later, and some not at all. We can trust God that enough will hear to reach a tipping point to see the Kingdom prevail. It takes faith to be a leader. We have to trust God’s ability to connect hearts instead of resorting to an unholy form of disrespect or human coercion. God, himself, has made provision for free will in all of us. Some will choose correctly and some won’t. Freedom to choose is a value that originated with God, which we award to ourselves and others.